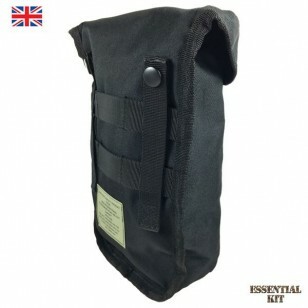 A Black high quality pouch made for the BCB Crusader cooking system. Fits a Mk1 or Mk2 Crusader cooker set including British Army 58 pattern Osprey water bottle and cup. The pouch has a smaller internal pocket which will take a cup lid. The rear of the pouch has Molle attachments with sturdy press stud fastenings to attach to a belt, webbing or pack etc. There is a drawstring to close the top of the pouch and front quick release buckle to close the pouch completely. The Pouch has been designed to keep your Crusader Cooking System safe & protected. Made from tough, durable material. 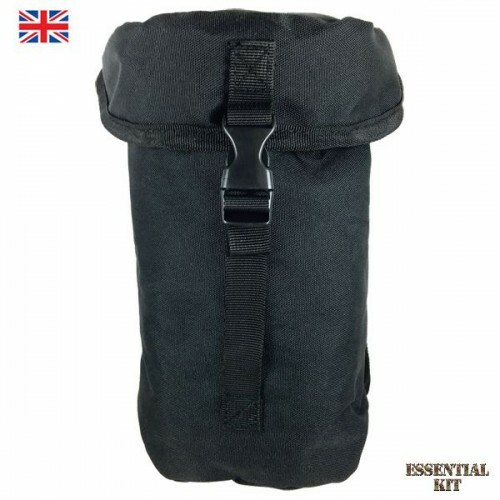 1 x main storage comparment and additional small internal pocket with velcro closure. Molle attachments on rear with sturdy press stud fastening to attach to webbing.